Green smoothies for pregnancy and postpartum are a delicious way to pack in the nutrients, stay hydrated, and keep things cool. 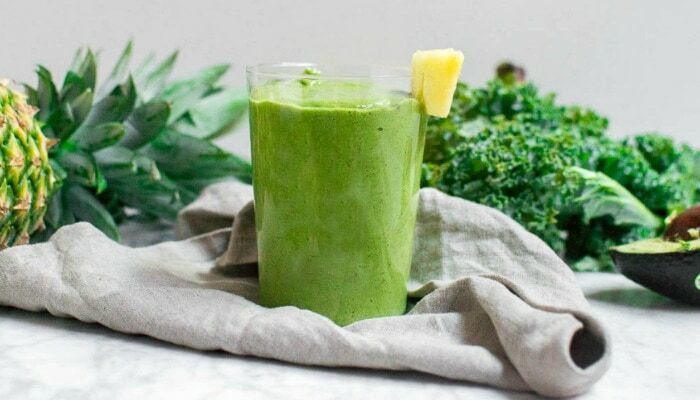 The following two green smoothie recipes are simple, yet full of pregnancy superfoods to nourish mama and her growing baby. Let’s get started! I don’t know about you, but I love green smoothies. They’re so tasty! However, it’s better if you make them at home. Why? 1) Many places add sugar to their smoothies (here’s looking at you Tropical Smoothie) and 2) they’re $$$. The thing is, it’s really not that complicated to make your own green smoothies for pregnancy at home, no matter what type of blender you own. (FYI: I have this beauty and I love it.) I guarantee if you try Mother Rising’s green smoothies you’ll be hooked! They’re easy and delicious! How much water to drink during pregnancy. How much water to drink while breastfeeding. Kale is one of my favorite pregnancy superfoods. In one cup of kale you have 4 grams of protein (that’s amazing, right? ), 150 mg of calcium (which is perfect for growing a person that needs bones), 491 mg of potassium and way more than your daily requirements of Vitamin A and K. I could go on and on. Kale is amazing. Kale is great in smoothies or even sauted in butter. Delicious. Spinach is another pregnancy superfood that’s in the “leafy green” category. Leafy greens are so important! If there are no leafy greens on your menu, something needs to change. Spinach is high in niacin and zinc, as well as protein, fiber, vitamins A, C, E and K, thiamin, vitamin B6, folate, calcium, iron, magnesium, phosphorus, potassium, copper, and manganese. I like to eat spinach in smoothies OR steamed with salt and vinegar. Avocados are delicious. I eat them plain, use them to make guacamole, put in salads and even in… smoothies. This nutrient dense food is high in potassium and my favorite monounsaturated fatty acids. I feel smarter every time I eat one, don’t you? Not only is it a great pregnancy superfood, but it’s an amazing baby’s first food too. Despite their tiny size, chia seeds are among the most nutritious foods on the planet. They contain fiber, protein, Omega-3 fatty acids and various micronutrients. (4) My favorite way to eat chia seeds is either in a protein packed pregnancy smoothie or in a yogurt. Really, the options are endless. Chia seeds expand when wet and create a fun tecture to food. Have fun with this one! Many people think pineapple induces labor. Apparently, pineapple contains an enzyme called bromelain which can cause a uterus to contract. But don’t worry, turns out it doesn’t really induce labor. This pregnancy superfood is high in other vitamins and nutrients like Vitamin C. My mother swears she keeps colds away by eating lots of pineapple. Maybe it’ll work for you? Either way, we’re winning. Pineapple is delicious on its own, eaten frozen or in smoothies. The following are two delicious green smoothies for pregnancy and postpartum that contain many pregnancy superfoods. Thank you Megan for your help with crafting these recipes! Enjoy! Blend water and kale first. 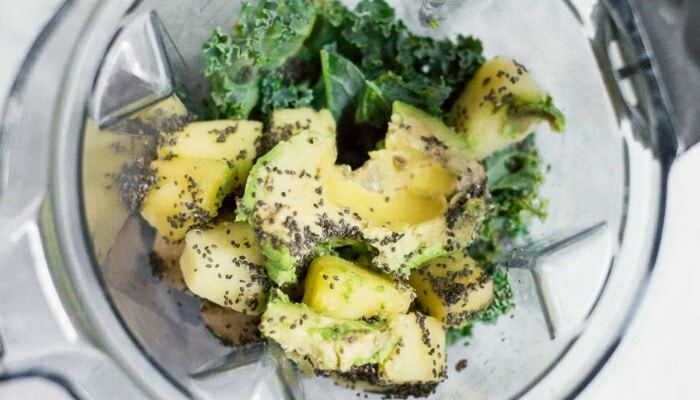 Add avocado, frozen pineapple, banana, and chia seeds until all ingredients are thoroughly blended. Add more water if needed to reach your desired consistency. Serve immediately. Blend coconut water and spinach first. Add frozen pineapple, blueberries, and strawberries until all ingredients are thoroughly blended. If you don’t have a high powered blender, process the water and kale together until the kale is finely ground and smooth. It will look like green water. After that, add the remaining ingredients and process as normal. This will remove any grittiness you may get from the kale. Want to mix things up? You can interchange spinach and kale if you would like. Coconut water and water can be interchanged as well. Avocados make the smoothie so creamy and smooth but can be omitted if you prefer. Make sure at least the pineapple, banana or berries are frozen in order to have a cold smoothie. You can also add ice (about 4-5 regular sized ice cubes) if you like. Do you have leftover greens you want to use up? Try making smoothie packs for the freezer so you’re always ready to have a healthy breakfast or snack. Place all ingredients minus the water in a freezer safe bag or glass jar and freeze. When ready, add the smoothie pack to the blender with water and you’re good to go! Want More Pregnancy Smoothie Recipes? 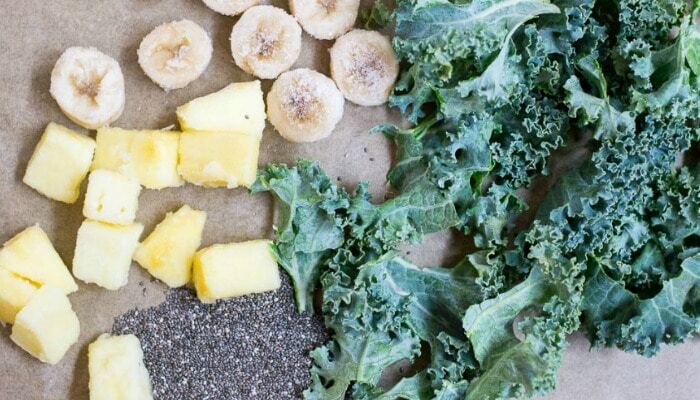 If you’re looking for more healthy smoothies for pregnancy check out Mother Rising’s protein punch smoothie. It’s so good! If you love peanut (or other nut/seed butters), this one’s for you. If you’re into kefir, there’s a recipe hidden in the post The Importance of Probiotics During Pregnancy. Can you find it? If you have a green smoothie recipe that you love, leave a comment and share with us! 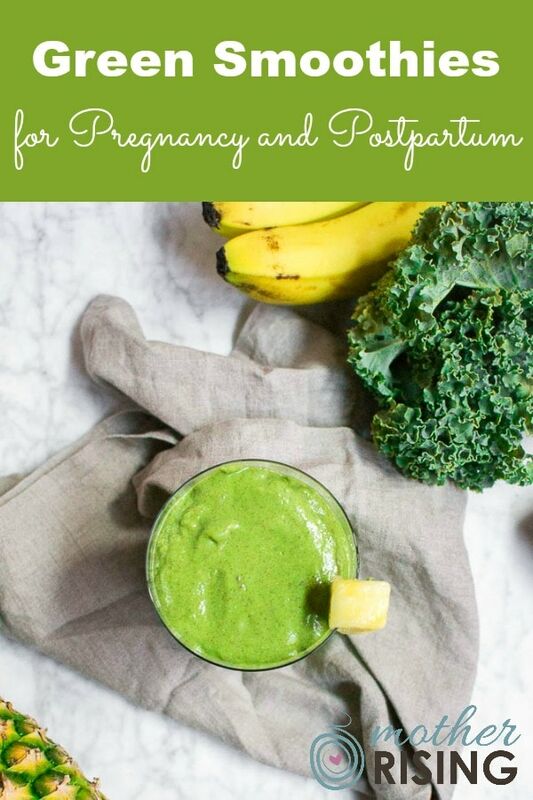 If you made one of my green smoothies for pregnancy recipes, let me know what you think! I’d love to hear from you.